Crikey that was close. 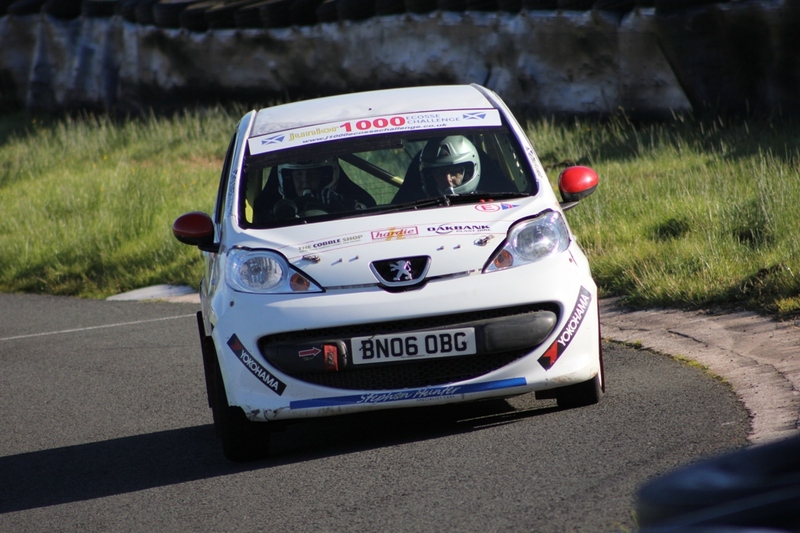 The winning margin after 16 Special Stages at Kames for the Albar/ISS Junior 1000 Ecosse event at Kames earlier today was ONE second. Lewis Haining got off to a flying start, but so did Ollie Hunter. After two stages Haining had built up a HUGE 2 second lead and after four stages, it was a massive 3 seconds! By the lunch halt at half-time his lead was back to 2 seconds and during the afternoon, Hunter stalked his adversary mercilessly, eventually sneaking past to grab the victory by one second. Marvellous stuff. 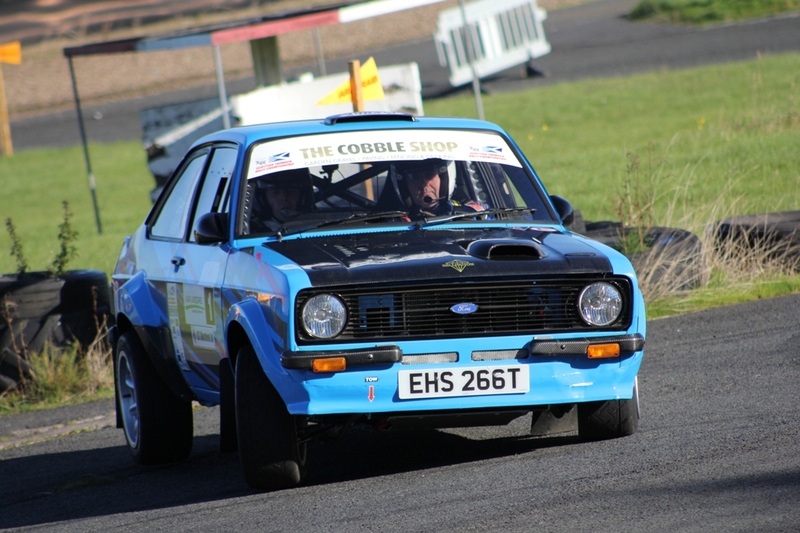 Andrew Blackwood fought back after an overshoot on the second stage which dropped him to 6th place to finish 3rd overall, just squeezing out championship leader Johnnie Mackay. 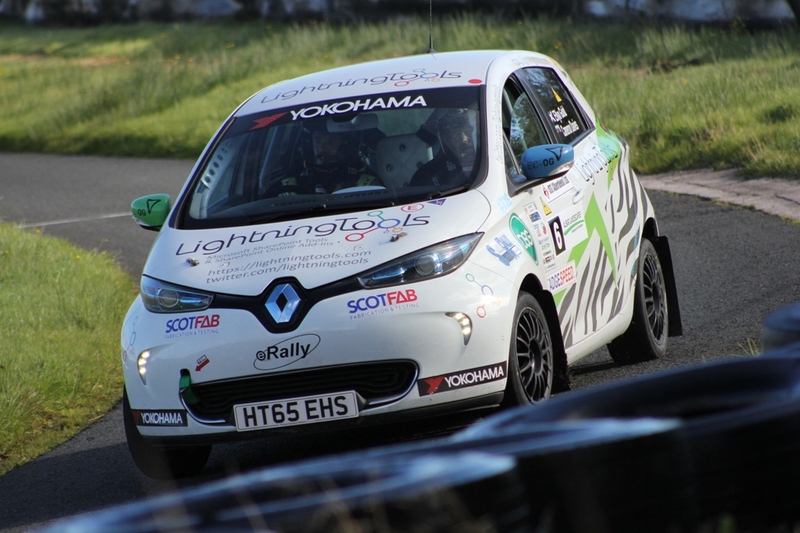 That sets things up nicely for the final round at Cadwell Park in November where the Scottish Junior title will be decided between Mackay and Haining. Or if they both fail to finish, there is an outside chance that someone else could sneak in and lift it, but don't ask me to explain the permutations. However, young Ollie's result today has clinched the Novice award in the J1000 series. Colin Gemmell won the 'senior' supporting event today from Graham Bruce but the big cars did leave a lot of rubber behind with their antics, while David McLeod was lucky he didn't leave more behind after a hugely impressive, but entirely unintentional, spin at the finish of the 13th stage in his Sunbeam! However all eyes (and certainly not the ears, cos ye couldnae hear it!) was on the electrically powered Renault Zoe. It was an impressive wee thing, although all you could hear was the chirrup from the front tyres as Cameron put the power down too quickly. Had he been competing amongst the J1000 cars he would have finished 4th. If this is the future of rallying, so be it, but it lacks one vital ingredient, the mechanical beat of 3, 4, 6 or 8 cylinders. Pity there weren't more entries for the track was dry, the weather was fine - and the burger van didn't turn up! Maybe that was why Rhona's tablet disappeared so quickly and Steven Brown's awfy rich looking chocolate cake didn't last much longer. However, I can confirm that there is absolutely no truth whatsoever in the scurrilous rumour that the reason the chocolate cake disappeared so quickly was because auld man Gemmell, who was on track duty, was using it to fill-in pot-holes!